张新周, 窦希萍, 陈黎明, 等. 潮汐海域电厂不同取排水布置方式环境影响分析[J]. 哈尔滨工程大学学报, 2019, 40(4), 718-723. DOI: 10.11990/jheu.201711089. ZHANG Xinzhou, DOU Xiping, CHEN Liming, et al. 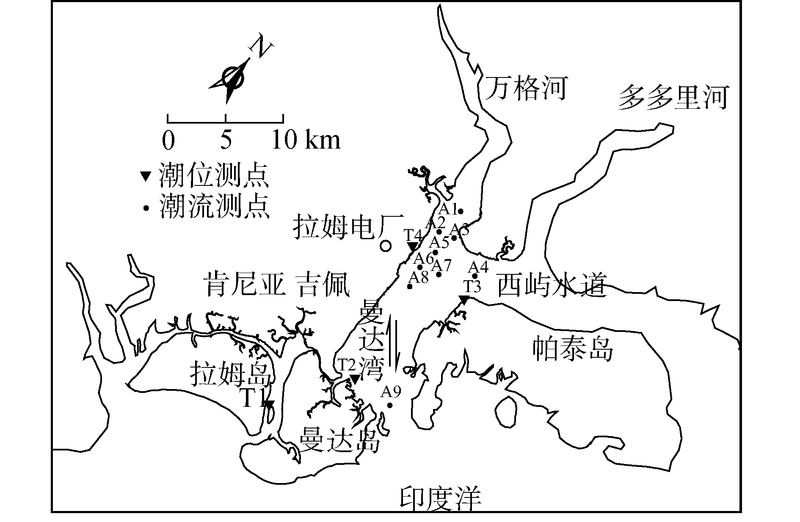 Comparative analysis of the influence of different power plant intake and drainage arrangements on environments in tidal regions[J]. Journal of Harbin Engineering University, 2019, 40(4), 718-723. DOI: 10.11990/jheu.201711089. Abstract: Different arrangements and structures of water intake and drainage project in a power plant have different effects on the surrounding environment.Considering the difference of drainage mode and surface heat dissipation characteristics between pipeline and open channel, the hydrodynamic water quality model of tidal sea area is developed independently and used to study the flow field change and the influence of temperature drainage on different drainage arrangements (pipeline deep water drainage and semi-submerged open channel drainage) in tidal waters.Based on an independently developed hydrodynamic water model in tidal regions, the flow field changes and the effect of thermal discharge under different intake and drainage arrangements were simulated in tidal regions.The results illustrate that the influence of drainage of open channels and pipelines on the surrounding flow field is limited to the local area near the project.Semi-submerged open channel discharge in shallow water has more impact on the flow field than pipeline drainage.The influence area of the thermal water is relatively large and mainly concentrated in the offshore area.Pipeline drainage in deep water has a relatively small impact on the thermal discharge because the thermal water group is far from the coast line and exhibits ribbon-like distribution.If the drainage exit and intake are arranged in the same fluid passage, the drainage will have significant influence on the intake.Adopting different arrangements of water intake and drainage project in deep water area can not only reduce the influence area of the thermal discharge but also decrease the level of thermal discharge influence on the intake.The research results provide a reference for similar water intake and drainage projects of power plant. 邹志军, 倪浩清, 周力行. 有蒸发的气-水二维湍流流动的数值模拟[J]. 水利学报, 1994(2): 9-17. 颜钰, 邵冬冬, 顾卫, 等. 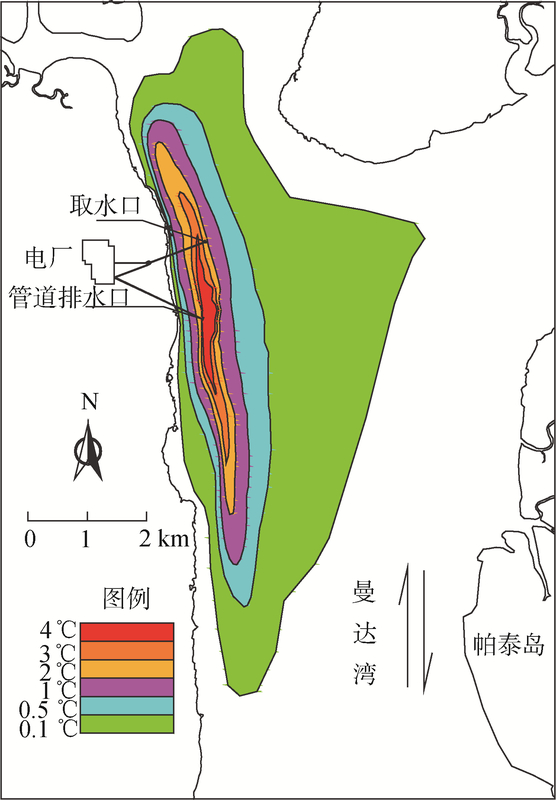 鲅鱼圈热电厂温排水的现场观测和三维数值模拟[J]. 海洋环境科学, 2016, 35(4): 571-579. 张沈裕, 朱建荣. 长江河口石洞口水域电厂温排水输运扩散观测和分析[J]. 华东师范大学学报(自然科学版), 2016(2): 101-111. 张贝贝, 周静, 纪平. 滨海电厂温排水数值模拟研究现状[J]. 中国水利水电科学研究院学报, 2014, 12(4): 402-409. 赵晓冬, 陈慧锋, 毛佩郁.宁德核电温排水扩散试验研究[C]//第十三届中国海洋(岸)工程学术讨论会论文集.北京: 海洋出版社, 2011. 余明辉, 余飞, 刘智, 等. 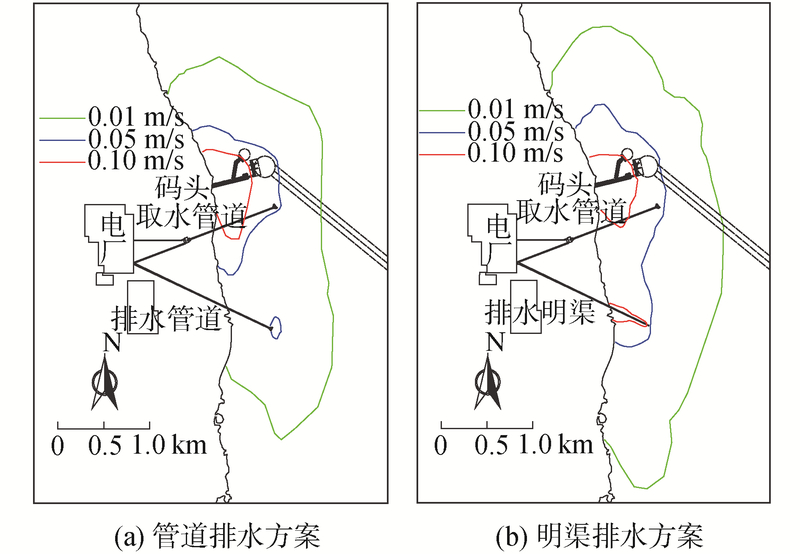 襄樊电厂二期工程温排水物理模型试验研究[J]. 水动力学研究与进展, 2006, 21(1): 46-52. 黄晓琛, 陈雪初, 彭欣, 等. 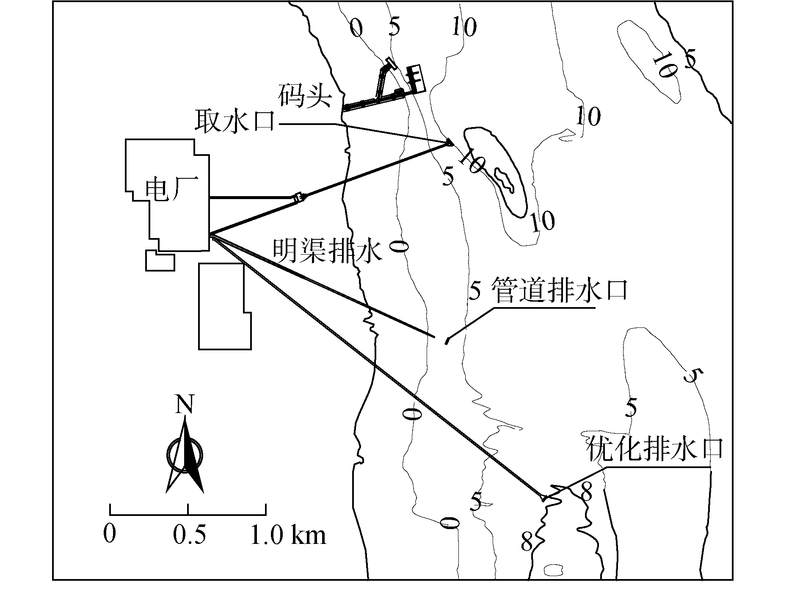 滨海电厂温排水对海洋环境的影响研究进展[J]. 海洋环境科学, 2014, 33(6): 972-976. 岳钧堂. 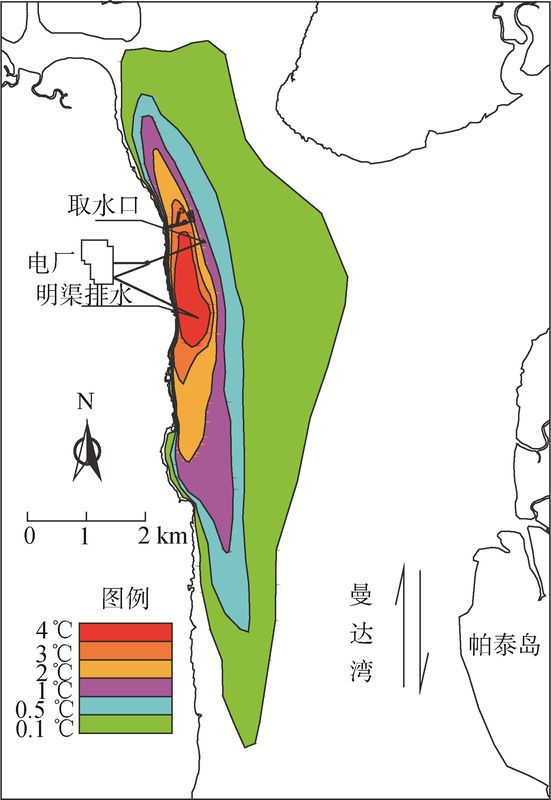 差位式理论及工程应用——感潮水域冷却水运动及工程布置研究[J]. 水利学报, 1993(12): 10-17. 倪浩清, 王能家, 周力行. 应力代数及低雷诺数的湍流数学模型在重叠式排取水口工程中的模拟计算[J]. 水动力学研究与进展, 1990, 5(4): 42-52. 陈惠泉. 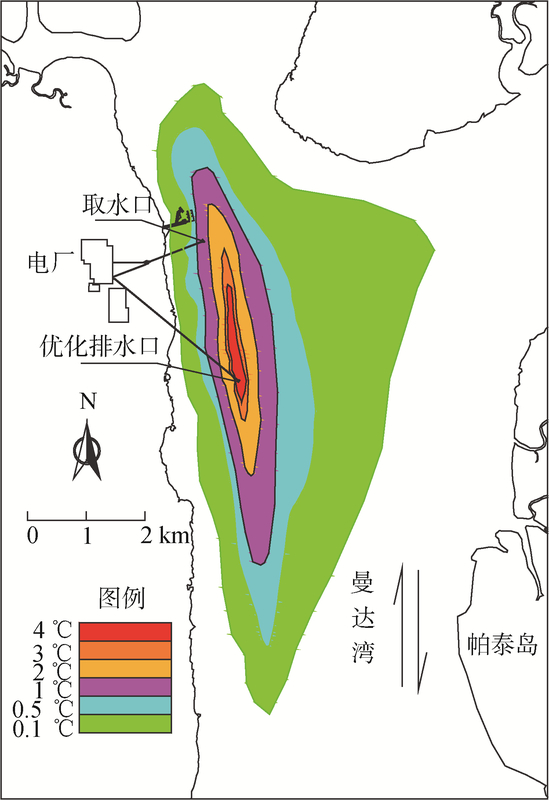 沿海水域火/核电厂冷却水水工布置的优化原则和实践[J]. 海洋技术, 1999, 18(4): 82-87.